Independence Day is Tuesday, July 4, 2017, and as part of our national celebrations, fireworks displays are happening in many communities across the United States! 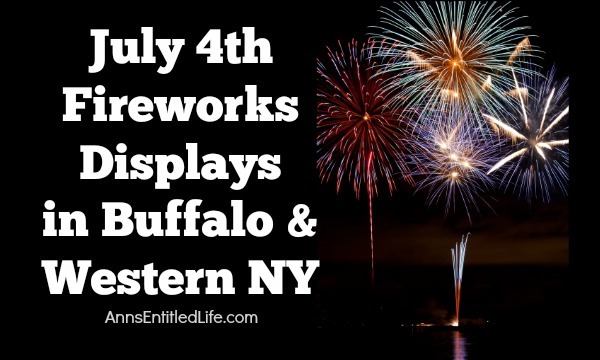 If you are looking for fireworks displays in Buffalo, NY, Niagara Falls, NY or in the Western New York area, here is the complete list including dates and times. It is that time again! Time for Independence Day fireworks displays in Western New York! Here is a list of fireworks displays in Erie County, Niagara County and Western New York for 2017. Enjoy a spectacular display of fireworks over Niagara Falls every Monday through Friday beginning June 12 until September 4, 2017 at 10 p.m. All performances are free and begin at 10 p.m. Fireworks performances are subject to change. Fireworks performances are weather permitting and may be canceled due to poor weather conditions like high winds or rain. Here are the road closings to get in. Widely renowned as the most spectacular firework display in the lake region! Pack a picnic, bring a blanket and eat in the park, or in one of our local eateries! View from Krull Park or a boat as we launch the fireworks from the West Pier! The band 23 Skidoo will perform from 7-8:15 p.m. The fireworks will begin at 10 p.m.
A rain date will be announced. The annual T-NT display will be shot from Tonawanda Island again this year. Niagara Street in Tonawanda will be closed for pedestrian safety. The “Sugar and Jazz Orchestra” concert begins at 7:00 PM at the bandshell in Niawanda Park. The shells begin bursting at dusk, approximately 9:40 PM. From the website: Fiddlers Green Park at the corner of Buffalo Street and Franklin Street from June through August. Concerts are from 6:30 – 8:30 p.m. In case of rain, concerts will be held in the Concord Town Hall, 86 Franklin Street, Springville, New York. 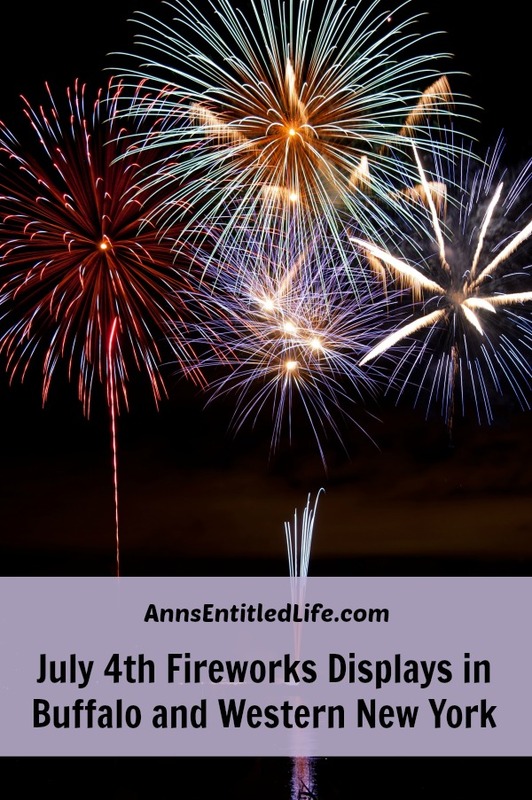 There are more details on the Pendleton fireworks when you < ahref="http://pendletonny.us/wp-content/uploads/2012/12/WEBSITE-4th-of-July-2017.pdf" target="_blank">click here. The Town of Tonawanda Youth, Parks and Recreation Department will be honoring USA’s birthday with a special concert at Kenney Field on Monday, July 3rd featuring the American Legion Band of the Tonawandas. The concert will begin at 7:30pm and conclude at approximately 9:30pm. At 10:00pm a spectacular fireworks display will be presented byPyrotecnico. • For New York State Travel Posts, click here.